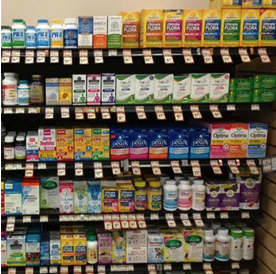 Among all the options for probiotics on store shelves, how can end-users spot a high-quality product? In today’s U.S. market, it’s not easy. Do you have a specific health concern? If so, choose a probiotic that has been tested for this endpoint. Useful guides for this are Clinical Guide in USA and Practice Guideline on Probiotics and Prebiotics produced by the World Gastroenterology Organisation. Do you prefer a food or a supplement? Both can be effective, it’s a matter of personal choice – but you need to choose good products. But once you focus your search, how do you know if a product has what it says it has on the label and if it is manufactured under conditions that will assure product safety and stability? After all, probiotics need to be alive to work. One help to end users is a valid quality mark. A quality mark is a seal from a third party organization that indicates the product passes that organization’s quality specifications. Similarly to how consumers know that any food with the Organic Food seal had to meet set requirements for pesticide use, soil and other growing techniques, a quality mark for probiotics can help consumers know that it meets certain quality benchmarks. This mark would only be displayed on probiotic products that meet stringent criteria for label accuracy and current good manufacturing practices. Such a quality mark is offered for dietary supplements by credible third parties, including United States Pharmacopeia and Underwriters Laboratory. The level of probiotics indicated on the label will be maintained through the use-by date. The probiotic product meets quality standards as related to any contaminants, including microbial pathogens. The problem is, there are no probiotics on the U.S. market today that display such a valid mark. Further, consumers are not aware of the significance of such a mark, so companies may not utilize them. The value of such a quality mark, even for companies that responsibly label and manufacture their products, is that the assessment of quality by a third party gives consumers and healthcare providers independent assurance of the quality of the product. Today consumers and healthcare providers hear that dietary supplements are unregulated and of poor quality (See “Supplements Can Make You Sick”). Although FDA does regulate dietary supplements, their reach does not prevent poor quality products on the marketplace. Recent voluntary guidelines suggested by the Council for Responsible Nutrition and the IPA showed movement by industry to self-regulate regarding probiotic product quality. The above applies to dietary supplements. What about probiotic foods? Foods are often labeled with little information about the probiotic content, especially with regard to strains and levels of live probiotics. I will develop this issue in my next blog (May 2017). So what should the savvy consumer do? In the absence of third party labelling, consumers can use the suggestions developed by the International Scientific Association for Probiotics and Prebiotics. This page offers “Probiotics: A Consumer Guide for Making Smart Choices”, an infographic on probiotics and other useful information.